SANTA MONICA (CN) – An unscrupulous gold dealer rolled an elderly man for $2 million by persuading him to buy overpriced gold and silver coins that were worth little beyond their melt value, the man claims in court. William Kraner, 77, sued Seacoast Coin dba Merit Financial dba Merit Gold and Silver and dba Merit Gold, and its employee Joe Grossman, in Superior Court. Kraner claims he gave Merit Gold $4 million for what he was assured were rare gold and silver coins, but which were worth only half as much. The Santa Monica city attorney two weeks ago claimed the same dealer “bilked consumers out of tens of millions of dollars” in a “massive bait and switch” scheme. Santa Monica also sued Seacoast/Merit owners Peter M. Epstein and Michael J. Getlin. Kraner did not sue them; he sued Grossman, who appears to have been one of their salesmen. 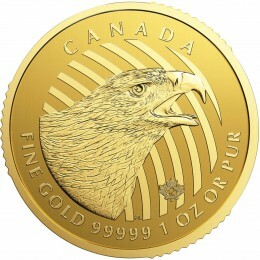 Santa Monica in 2012 won two judgments against other Santa Monica-based precious metal dealers, Goldline International and Superior Gold Group. Continue reading on Court House News.com. Why do we bring these stories to your attention? We get no pleasure in denigrating our competition, but then again, firms like Merit and Tulving are NOT our competition. We can’t compete with firms that mis-represent, bait-and-switch or sell so low as to lead to their bankruptcy and loss of client funds. In the precious metals industry, this is not that uncommon. In every cycle, they come and they go. And when they go; they go with YOUR money. We do not consider ourselves to be “investment advisors,” but we care a great deal about the well being of the audience that reads our newsletter. We promise to “educate.” Well, education is more than giving you facts, figures and trends. It is also about making sure you do not waste your money in pursuit of acquiring gold and silver. 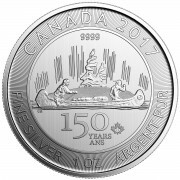 When it comes to gold and silver, something in me says it’s better to pay a bit more and receive what you paid for. That is not to say that everyone that sells gold and silver for less than we do will fail to deliver, go bankrupt or are bad people. All I’m saying is that being in our 25th year in business, I don’t see how any firm can be PROFITABLE, offering anything beyond an order desk and sell for less than we do. Hey, anyone can sell their products for a loss. These days many gold and silver mining companies are selling their minerals below their cost of production – for a loss. They do have the ability to raise capital by issuing more stock or floating a bond issue. That doesn’t work for a firm like us. I can’t sell you gold and silver at a loss without closing the doors to Miles Franklin. When we state our mark up for gold and silver, we are straightforward. Many firms, especially those who advertise on Fox, claim they sell at cost. But how do they calculate their cost? Either they add a huge overhead to the number or they bait and switch to higher markup coins. No one can sell at cost while paying up to $10,000 per ad and stay in business. These are exactly the type of firms to avoid. There is no way to overcome the ultra high advertising costs without passing them on to you, one way or another. This is where firms like Merit find their prey. Our overhead, which is deliberately kept as low as possible, including my salary. Now be brave – go ahead and start YOUR own business and see if you have what it takes to survive on a slim profit. We make less profit than your typical supermarket! You can survive on a low margin when business is great, and you sell lots of units, but what happens when business falls off by half, or more? Well, that’s when firms like Merit and Tulving screw their clients! 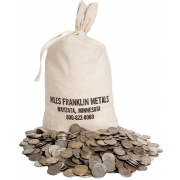 At Miles Franklin, the owners take home a lot less money. Nothing changes on the client end. Who do you think pays Bill Holter and Andy Hoffman’s salary? They don’t come cheap, but still, are probably underpaid for what they offer. This is part of the “free” information we send out to you every day. Free to YOU but still, part of our bottom line. If I ever get “rich” in this business it will only be because someday I may sell the firm – not from the annual profit I take from the business. My net worth is due to the gains I personally made by investing MY money into gold and silver – not because of what I take out of my firm. I built a wonderful home in Minneapolis in 2005 and purchased an ocean view condo North of Miami Beach in 2012. But that was from PROFITS I made on the gold and silver INVESTMENTS from 2000 forward – not by raiding Miles Franklin’s bottom line. I sold some gold and silver and mining shares for much more than I paid for them. I built Miles Franklin from the ground up and there were several years where I took NO salary and we lived off of my wife’s income. For the past few years our business has grown to an impressively and it’s something I take personal pride in. I never would have dreamed it would work out like this, in 1990 when I started the firm using the cash value in our insurance policies to fund the start up costs. But our business model is not based on my salary or on how much money Andy and I can make – it ‘s based on making sure that YOU get the finest service, the best education, the most sincere broker-client relationships PLUS a price structure that is fair. Whatever is left is what we call our profit. And most of that “profit” Andy and I invest right back into gold and silver for our personal portfolios. 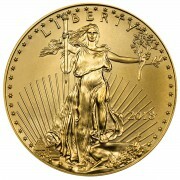 To us, gold and silver are preferable to dollars at these prices. We are more focused on building a strong base of precious metals (physicals in our possession and/or stored with Brinks in Montreal) that we are in gambling in the stock market. That’s how we think after nearly three decades in this business. Some years are better than others. But I can sleep at night knowing that we did the right thing in every possible way for you, the people who decided to trust us with your savings and your future. We take it very seriously. I still wonder how a firm like Tulving could do two to three times our business and end up closing their doors and owing their clients tens or hundreds of millions of dollars. I really cannot grasp that kind of inability and dishonesty! If that doesn’t bother you and if you want to save a few dollars on an ounce on your gold purchase, then if you do take your business elsewhere, but please do not call us (which many of you have done) and cry on our shoulders and ask can we help you get your money back. You get what you pay for – EXCEPT here, at Miles Franklin. Here, you get MORE than you pay for, and we are thrilled for you and for us. It’s a relationship that works. I am a Builder and felt it needed to police my industry to maintain a certain trust, especially when some began taking deposits and disappearing. I expect social media will make it much harder for thieves to prosper. But still, what you do in reporting these people eliminates the need to pass endless laws. When the lawyers walk in, we all lose.